Harivamsha Resources utf-8 devanagari version of texts appearing in these pages are created by Shree Devi Kumar. Text follows that edited by Pandit Ramachandrashastri Kinjawadekar and published by the Chitrashala Press in 1936. Text in itrans prepared by K.S. Ramachandran and Gilles Schaufelberger. English Translation of Harivamsha Parva by Desiraju Hanumanta Rao. Text in itrans prepared by Desiraju Hanumanta Rao from the Telugu version presented by shrI jannAbhaTla vIreshvara shAstry. Text in itrans prepared by A. Purushothaman. 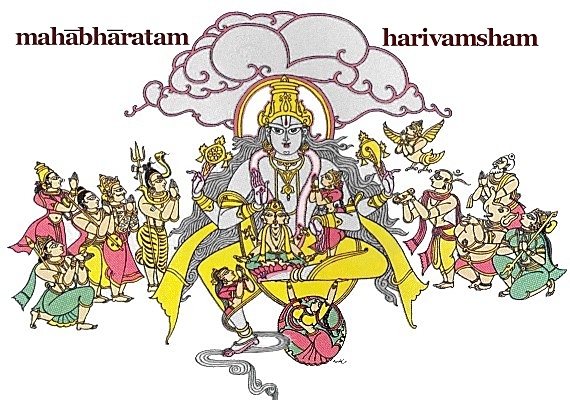 The Appendix II of the Critical Edition of the BORI Harivamsha contains a section called Sheshadharmaprakaranam found in a few manuscripts of Harivamsa and in a few independent manuscripts.